Series Blurb: Sink your fangs into this collection of paranormal short stories dedicated to immortal creatures of the night with a lust for blood, cursed to walk the earth for all of eternity. 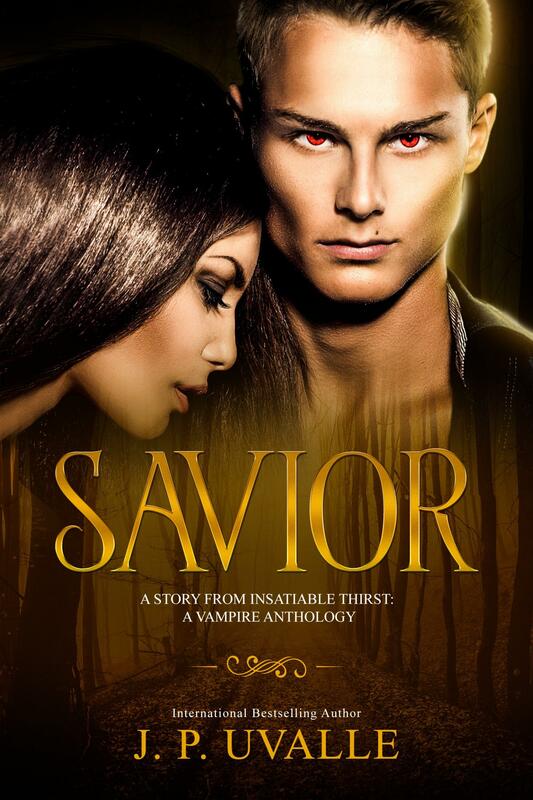 INSATIABLE THIRST, the third action-packed anthology in the Summer of Supernaturals series featuring vampires from today’s best urban fantasy and paranormal romance authors. Savior Blurb: Freshman college student Penelope— a farm girl wise beyond her years—moves away to escape her tormented past. While struggling with her inner demons, her nemesis, Phillip finds a way to haunt her by attending the same college. Phillip takes his bullying to another level, making Penelope’s hopes for a fresh start fade away. Danger lurks, and the only one who can save her does not exist. Lone vampire, Drake hides in the shadows, placing himself in the right place at the right time. Witnessing a horrible crime against Penelope, he races to save her, only to commit a crime of his own. Drake grows desperate as his attraction for her grows strong, but to keep her safe, he must remain in the same shadows that protect his identity. However, Penelope won’t stop until Drake is hers. Will Drake and Penelope survive their demons, or will their attraction lead them into eternal darkness?